Wow amazing mosaic! I was completely unaware of all the nebulosity between NGC 6820 and Sh2-88! 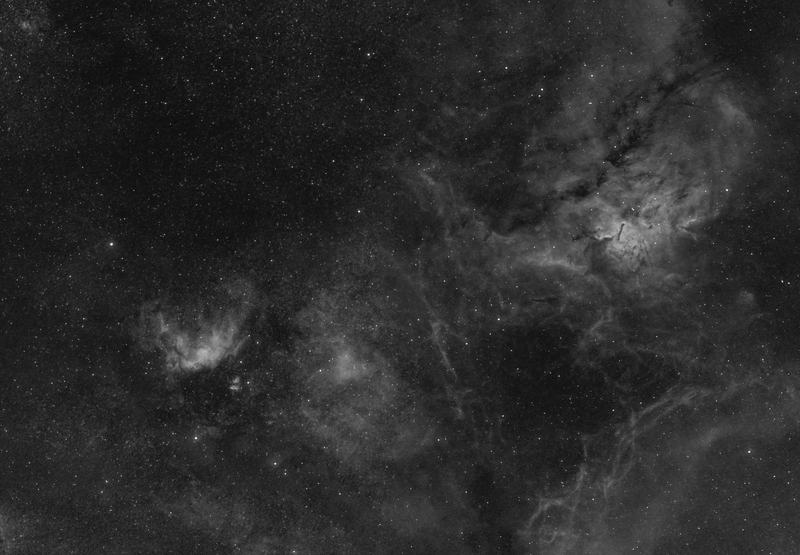 I think the best way to finish this would be to add LRGB as this would preserve the reflection nebulae in this area. Hi Sakib, thanks for stopping by and thank you for the feedback which is much appreciated. The Vixen VSD is very good for picking up fine detail. I plan to finish this in narrowband however your idea is very interesting and maybe I will take a look at that option later on.